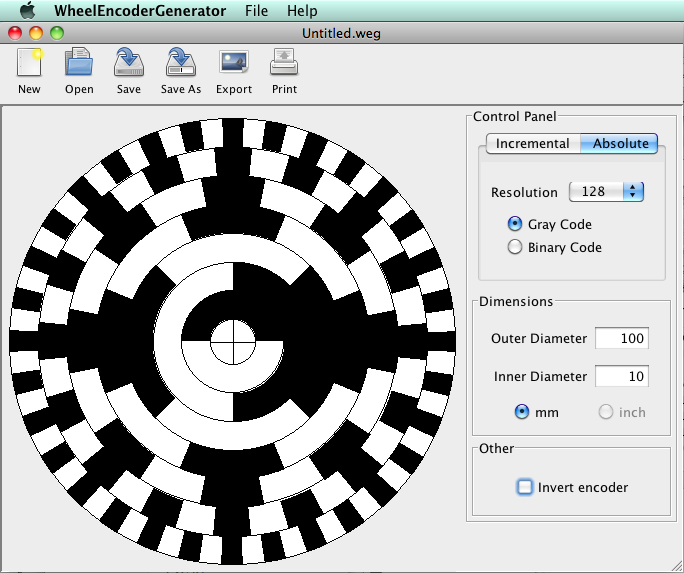 Announcing version 0.2-beta of WheelEncoderGenerator, the open source, cross-platform application for quickly generating and printing wheel encoder discs. Download here. If you have a minute, can you download it and let me know if you see any glaring issues? Would love to get someone to test on Windows 7 and Mountain Lion. I installed on Windows 7 and the first time I ran it none of the controls on the right hand panel were usable - did not respond to mouse-clicks at all, although they did not appear disabled. The menu items and toolbar buttons at the top worked OK. Ran a second time and all controls are working. Playing around more I was able to reproduce by resizing the window larger. Resizing smaller re-enabled the controls. Huh, I just tried it on Windows 7 and everything seemed to work just fine. I know that the old version was a little flaky if you resized the window, but this one seems to handle window resizes just fine. Just found that the window freaked out a bit when I tried to maximize it. It tried to maximize, but the aspect ratio wasn't right, so it went smaller, smaller, smaller, until it got small enough to fit horizontally. You also get the same sort of resizing fight, if you try to resize it too wide. 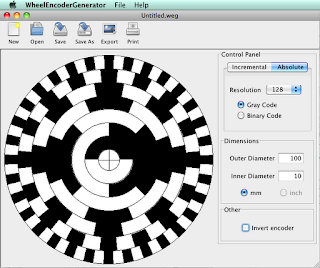 Also, the graycode makes a really cool pattern.